thermal sensors on SCR’s and diodes. PEC designs and manufactures miniverters in house. circuits are verified prior to shipping. 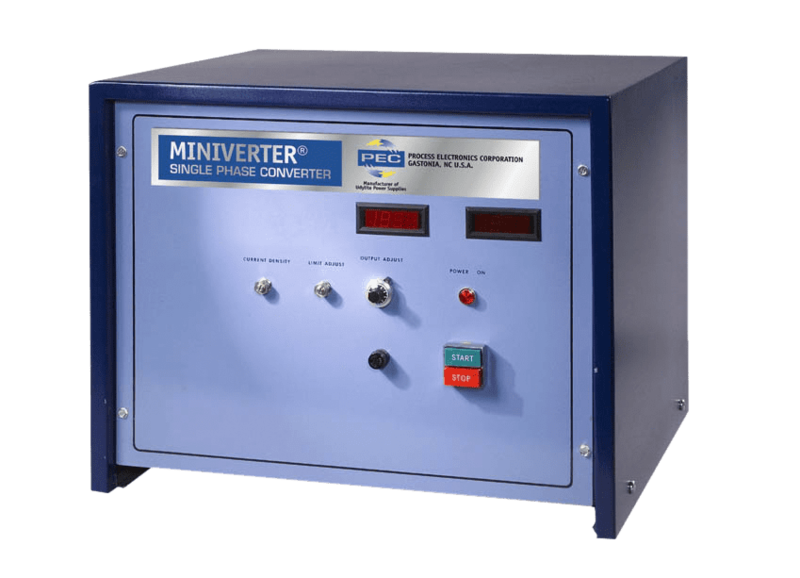 For additional information on Miniverter D.C. power conversion systems, contact Process Electronics Corporation or your local PEC equipment distributor.